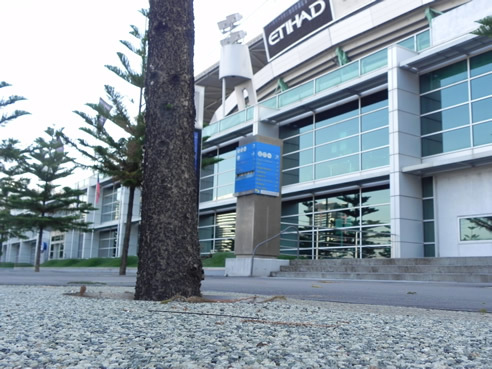 StoneSet completed an order for dozens of Tree Surrounds outside the now ‘Marvel’ Stadium in Melbourne Docklands, in just 3 days! 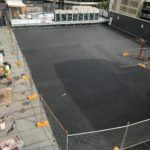 Using the specified ‘Evergreen’ StoneSet material, dozens of tree surrounds lining the street outside the AFL stadium.The trees are a relatively new addition to the street and are installed to the appropriate depth, allowing the root ball plenty of room for growth and collection of rainwater beneath the StoneSet layer. 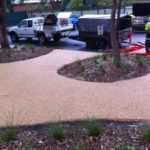 After a particularly dry period in Melbourne, this function of holding water at the root ball is particularly important as traditionally urban tree surrounds are set in deco-granite or local to Melbourne ‘lilydale toppings’. 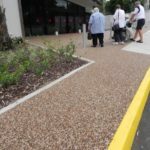 These finishes not only become loose and require regular sweeping, but actually allow minimal penetration by rainwater and dry out very quickly. 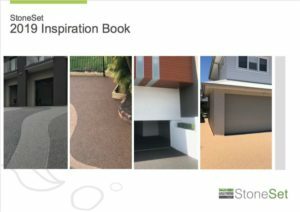 StoneSet is designed to allow maximum permeability in the top 30mm layer with flow rates in excess of 5000mm/min. 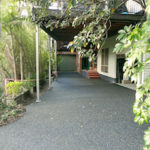 The base of a StoneSet tree surround is made up of a low fines road base. 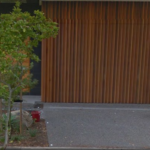 Tree Collars are installed around the trunk of young trees to allow for uninhabited growth. 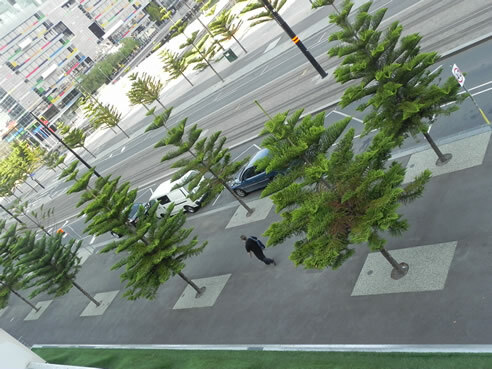 For older, more established trees the material can be installed directly up to the trunk.The total area for the tree pits installed on the Docklands project was approximately 300m² and installation, including prep work took just 3 days.